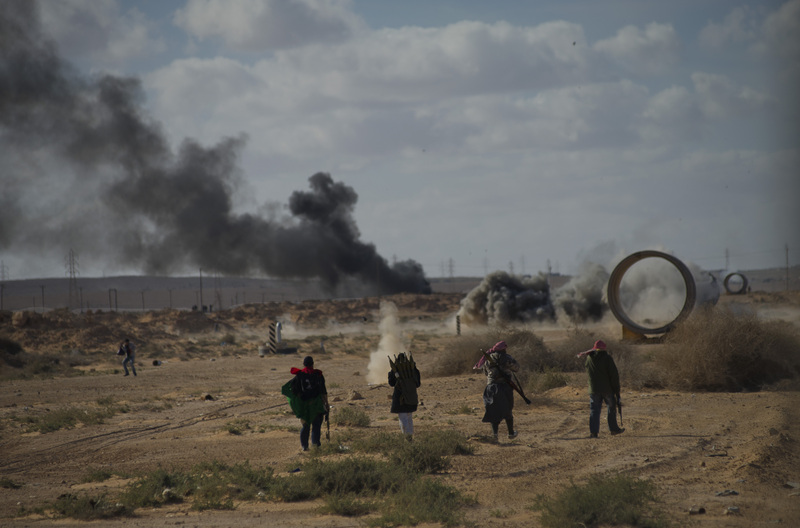 Opposition troops are hit with artillery fire as they are pushed back east out of Bin Jawat towards Ras Lanuf, the day after taking Ras Lanuf back from troops loyal to Qaddafi, in Eastern Libya, March 6, 2011. Heavy fighting went on throughout the day between both sides, as Qaddafi's troops hit the opposition with air strikes, artillery, and sniper fire. Dangerous confrontations have been going on between opposition forces and those loyal to Col. Qaddafi across Libya.